Dubai: Transportation to the Zayed Sports City in Abu Dhabi for the Papal Mass on February 5 will be provided for free by the Abu Dhabi government from designated Access Hubs across the city. 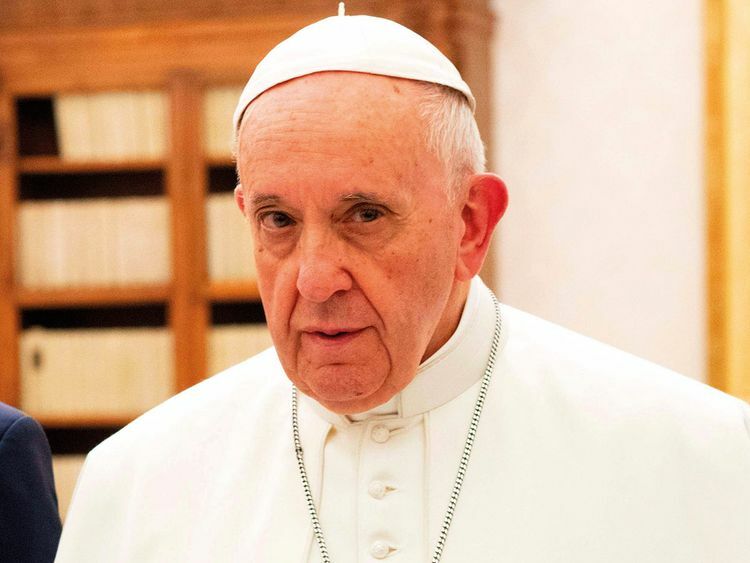 Catholic faithfuls who will be given tickets to the mass officiated by Pope Francis during his first visit to the UAE will also receive transport tickets, organisers of the Papal visit announced on Wednesday. Attendees should choose their Access Hub location and time of departure at the time of collection of their tickets. The locations available for each parish will be announced shortly. Attendees must arrive at the Access Hub early with their Papal Mass and Transport tickets. Changing Access Hubs is not allowed. "The faithfuls should arrange their own travel to the assigned Access Hub. They should leave their homes early, and arrive at the Access Hub early to guarantee a seat on the buses. Faithful should bring both tickets – no ticket, no travel," the organisers said on the Papal Mass website. For those travelling on their own through private cars, make sure you select Transport Tickets to Yas Gateway Access Hub located on Yas Island. "You will be able to park your car and take the available shuttle bus service. Timings will be indicated on your Transport Ticket," organisers said. No private vehicles will be allowed to enter into Abu Dhabi Island on the day of the Papal mass. "Attendees are requested to follow the sign boards directing them to their allocated area as mentioned on their ticket. They should be prepared to walk up to 3km from the drop off point to the venue," organisers said. For international guests and those who plan to travel to Abu Dhabi ahead of the Papal mass on or February 4, you may access the Abu Dhabi or Dubai Access Hubs and secure valid Transport Tickets for the Access Hub they wish to use. Only limited coupons will be available for this option. "The faithfuls from the Abu Dhabi who prefer to walk to the venue, may do so. But please follow the police guidance. Advisable to carry Emirates ID along with your tickets," organisers said. "Attendees should be prepared to spend approximately five hours in the venue," they said. Parish co-ordinators should advise the total number of differently abled, old and pregnant who need special assistance. Children above two years should have valid tickets for security reasons. Food and beverages will be allowed on the bus. No food or beverages will be allowed inside the venue. Free water will be available inside the venue. Patients and children may carry essential medicine and food subject to security clearance. Food will be available for sale after the mass in the venue. International participants who wish to use the transportation system should collect Transport Tickets from Dubai or Abu Dhabi parishes when they collect their Entry Ticket. Please do not bring umbrellas, flags, banners and selfie sticks as they are not allowed inside the venue. Folding chairs or stools are permitted for the outside venue.